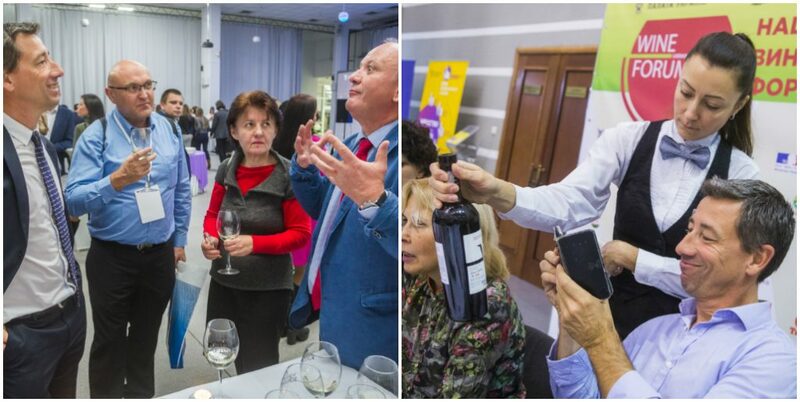 for the fourth time, traditionally at the end of the grape harvest season, the leading wine-makers of Ukraine gather within the walls of the Chamber of Commerce and Industry of Ukraine to discuss topical issues of the industry. According to the established good tradition, in the framework of the National Wine Forum, practical meetings are held with the invitation of recognized experts from the Old World winemakers. This year, the forum was honored by Stephan Bade, an expert at the University of Bordeaux, an international consultant on the production and marketing of wines (France). Stefan Bade held a master class and tasting, during which he noted “Chardonnay – Sauvignon” from the Villa Krim Authors collection, praised the fresh taste and originality of the drink. “If at the moment there was a blind tasting, I would surely say that in my hands a glass of wine is from the Bordeaux region,” the expert noted. And the best compliment to the label design was Mr. Bade’s desire to leave the Author’s wine memory by taking a picture of the Villa Krim bottle. The French wine-maker stressed the great potential of Ukrainian wines and expressed confidence that Ukrainian wines will earn recognition, and will certainly occupy a worthy place in the international market.